You are here: Home / Podcast #2 – Vocal Power! / Better Skill Set / Podcast #2 – Vocal Power! Podcast #2 – Vocal Power! https://mk0haxasipo2bw8r2bkh.kinstacdn.com/wp-content/uploads/2018/03/Screen-shot-2018-03-07-at-1.42.06-PM.png 262 500 Mark Baxter https://voicelesson.com/wp-content/uploads/2014/05/voicelesson.png Mark Baxter2018-03-17 08:44:372018-06-11 15:28:39Podcast #2 - Vocal Power! 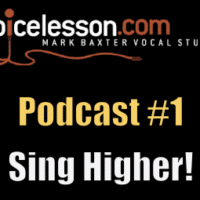 Podcast #1 – Sing Higher! 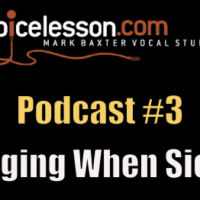 Podcast #3 – Singing When Sick?